All international students on F-1 student visas are required to have health insurance while they are enrolled at UH Hilo. Students can enroll in a UH-endorsed student health insurance plan or provide proof of enrollment in a health insurance plan whose benefits meet the minimum requirements set by the University. While enrolled at UH Hilo, you are required to have coverage for each semester that you attend classes. You are required to have insurance that covers you for the entire time that you are enrolled at UH Hilo. If you enroll in summer session classes, you must have health insurance during that period. UH Hilo has limited health care services on campus at the Student Medical Services. Unless it is an emergency, it is recommended that you first visit the Student Medical Services office (located in the Campus Center Room 212) if you are experiencing any health problems before arranging to see a health care provider off-campus. UH Hilo also offers free, confidential personal counseling. View a short video about mental health for international students in the U.S.
Why are international students required to have health insurance? Medical care in the U.S. is expensive. Adequate health insurance is essential because the U.S. government does not pay for medical expenses. While other countries may cover the health care expenses for its citizens, in the U.S. each individual is responsible for his or her own medical expenses. A visit to the emergency room or a stay in hospital can cost thousands of dollars and the lack of adequate health insurance coverage can be financially devastating. If you become ill or injured and have no insurance, it could prevent you from continuing your education because of the financial costs. Therefore it is very important to have insurance that covers medical expenses. By requiring international students to have health insurance, the University’s goal is to have students fulfill their educational goals. Your insurance plan must provide medical benefits (doctor visits, hospital, surgery, laboratory tests, x-rays, etc.) of at least $100,000 US for each accident or illness. For example, if you are in an accident you will have to pay your portion (deductible, if applicable, and your co-payment) and your insurance policy must pay for covered expenses until a limit of at least $100,000 US is reached. Then if you get sick you will have to pay your portion again (deductible, if applicable, and your co-payment) and your insurance policy must pay for covered expenses until a limit of at least $100,000 US is reached. Your insurance plan must pay at least 75% of covered medical expenses (including mental health coverage) for both inpatient (stay at an inpatient facility/hospital) and outpatient (doctor’s office, outpatient department of a hospital or ambulatory surgery center) services. Even after you pay the deductible, an insurance plan will usually cover only a percentage of your medical expenses. For example, if the policy pays 75%, you would need to pay the remaining 25% (coinsurance/copayment). If you die in the U.S., your plan must provide at least $25,000 US to send your body/remains back to your home country. If, due to a serious illness or injury, your doctor recommends that you return to your home country for treatment and/or recovery, your plan must provide up to $10,000 US for you to return home. Your insurance plan deductible cannot exceed $500 US for each accident or illness. Most insurance plans require you to pay for part of your medical expenses (this is called the deductible) before they will start to pay for any covered services. While the requirement limits the deductible to $500 per accident or illness, many plans offer either lower deductibles or no deductibles at all. Some plans also have deductibles per year instead of per accident or illness. As long as your plan does not exceed the $500 US deductible (per accident/illness or per year) then this requirement will be fulfilled. A deductible is not the same as a co-payment or co-insurance. A deductible is in addition to your co-payment/co-insurance. Your insurance plan may require a waiting period for a pre-existing condition, but the waiting period must be reasonable under current industry standards (typically no longer than 6 months). Each company has its own definition of pre-existing conditions, but basically pre-existing conditions are any physical or mental conditions for which medical advice, medication, diagnosis, care, or treatment was recommended or received prior to enrollment on your insurance plan. Some insurance plans exclude pre-existing conditions while some plans might put a waiting period on pre-existing conditions. A waiting period means that your insurance company will not cover any pre-existing conditions for a certain amount of time. For example, if your plan has a 12 month waiting period for pre-existing conditions and you have previously received care for asthma, then you will not have coverage for any care or services related to asthma for 12 months. The University of Hawaiʻ offers a student health insurance plan. Students may choose to enroll in this health insurance plan. For more information on this plan, click here. Please note that there are deadlines each semester to enroll in this particular health insurance plan. If you do not choose the University's health insurance plan, you may purchase health insurance in your home country or from a US-based health insurance company. If you choose to purchase health insurance from your home country or from a US-based health insurance company, you must have the health insurance company complete this health insurance form and submit the form to the Director of International Student Services. Associated Insurance Plans (Student Health Advantage Platinum, Student Secure & Liaison Student plans only). Plans are also available while on OPT. Students from the Compact of Free Association nations are not required to have health insurance, although it is recommended. Students from a COFA nation may be eligible health insurance subsidized by the State of Hawaii at a low rate. 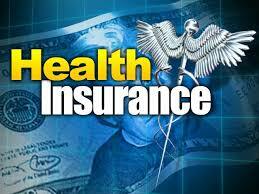 Call Ku'u at 808-348-4410 for more information about how to apply for health insurance. Find information to apply for health insurance at the Hawaiʻi County Office of Research and Development, located at 1990 Kinoole Street in Hilo. Appointments are recommended (but not necessary). To make an appointment at the Workforce & Economic Development office, call 959-6200 and ask for Lori Reuney or Shelly. When you call, tell them that you are a student from the FSM, RMI or Palau and that you would like to apply for health insurance. Your I-94 form. View instructions from US Customs to get a copy of your I-94 form. If you do not have your I-94 form, you need to know the date you entered the U.S.
For general questions about health insurance, you can call 1-877-628-5076. Language interpreters are available in 16 languages, including Chuukese and Marshallese. For detailed information and resources for those looking for information on the current status of health care coverage for people from the Compact of Free Association nations who live in Hawaiʻi, visit the Healthy Pacific website.